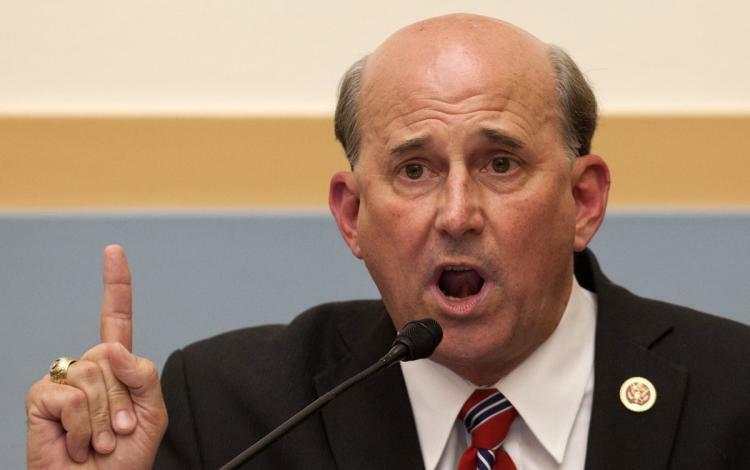 House Judiciary Committee member Louie Gohmert (R-TX) wrote a scorching op-ed on Wednesday warning that if Trump betrays his base and works with Republicans to pass a "DACA amnesty" bill without first "securing the border and building a wall where it is needed," Republicans will get slaughtered in the 2018 midterm elections less than ten months away - with Nancy Pelosi reclaiming her seat as Speaker of the House. Following that devastating loss, the first order of business for new House Speaker Nancy Pelosi in January 2019 in the 116th Congress will be an impeachment vote regarding President Donald J. Trump. The great hope for a return to the rule of law that was created when President Trump was elected will be gone. Gohmert goes on to assert that Trump is working too hard to impress members of Congress - most of whom were not supportive of him even just weeks before the election - and would gladly "stab him in the back" at their first opportunity. The mere fact that Trump broke a campaign promise to compromise on DACA amnesty "no matter what legalistic or deceptive name it is given," will be used as ammunition against the President, says Gohmert. "No wall has been built nor is it being constructed right now on our southern border despite President Trump’s constant pushing and urging Congress to get it done, wrote Gohmert, adding "These House and Senate “leaders” have not found the time or ability to provide much more than token startup costs as they continue to talk of a coming non-amnesty amnesty." Trump, meanwhile, says no DACA without a wall. "It's gotta include the wall," said the US President at a press conference with Norway's prime minister. 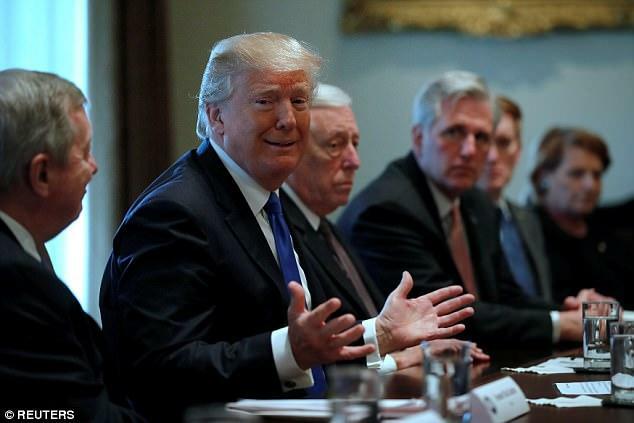 "Any solution has to include the wall, adding "We need the wall for security, we need the wall for safety, we need the wall for stopping the drugs from pouring in." Perhaps related - to his comment on the wall and drugs pouring in, Trump made a cryptic off-the-cuff remark to members of Congress and healthcare practitioners Wednesday night. "I think I know the answer" to America's opioid crisis, said the President - adding that he's "not sure the country is ready for it yet." "Does anybody know what I mean?" Trump asked the group gathered around his desk. "I think so." Gohmert's Wednesday op-ed may have been insipred by an exchange during a Tuesday bipartisan negotiation session on immigration, in which Senator Dianne Feinstein (D-CA) pressed Trump to include a "clean" bill to restore the Obama-era DACA program - referring to a bill "clean" of earmarks for a border wall or other measures. "Yeah, I would like to do it," Trump replied. Perhaps sensing the President didn't hear or understand what Feinstein meant, a Republican congressman clarified what Feinstein meant. Curiously, the line "Yeah, I would like to do it," was edited out of both the official White House treanscript as well as the MSNBC closed captioning system. The White House later corrected the mistake. 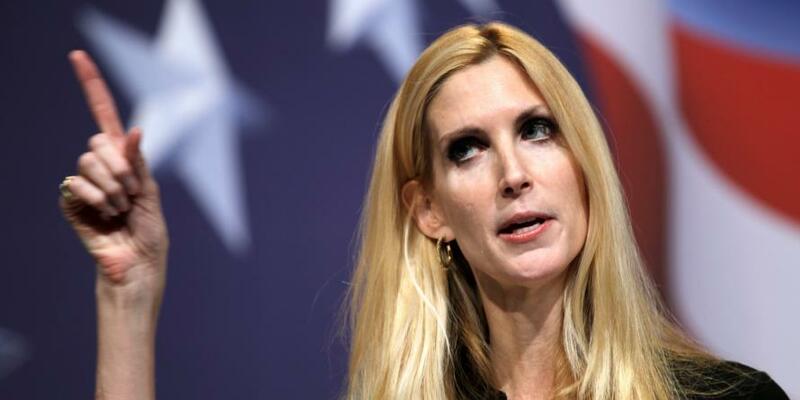 In all likelihood, Trump misunderstood Feinstein - as he made clear later that there would be no DACA renewal without a wall, however Gohmert is joined by pundit Ann Coulter, who said that Trump "proceeded to completely sell out the base and actually added to his problems by appearing senile." Trump was more than willing to sell out the base to solve a personal problem of his — the Michael Wolff book — but managed to not convince a single American that he’s articulate, bright or a good leader. On MSNBC, the hosts didn’t say, “You know, we saw a new side of Trump today …” Instead, they could barely suppress their giggles over the great negotiator being rolled. The Democrats’ opening bid is: Not only does every poor person in the world get to come live here, but all their relatives get to come, too! They don’t control any branch of government, and they’re not budging from that. Trump’s counter-offer is: OK! My immigration policy is whatever you send me! The end result was: On the left, they’re happy, but still think Trump’s a moron. On the right, they’re unhappy, and also think Trump’s a moron. If Gohmert and Coulter are correct, Trump's compromise on DACA and apparent eagerness to appease his recent enemies is indeed not going to go over well with his base, and the GOP can kiss their majority goodbye.